Published 16 December 2014 at 2000 × 2101 in What do colours mean in satellite imagery? 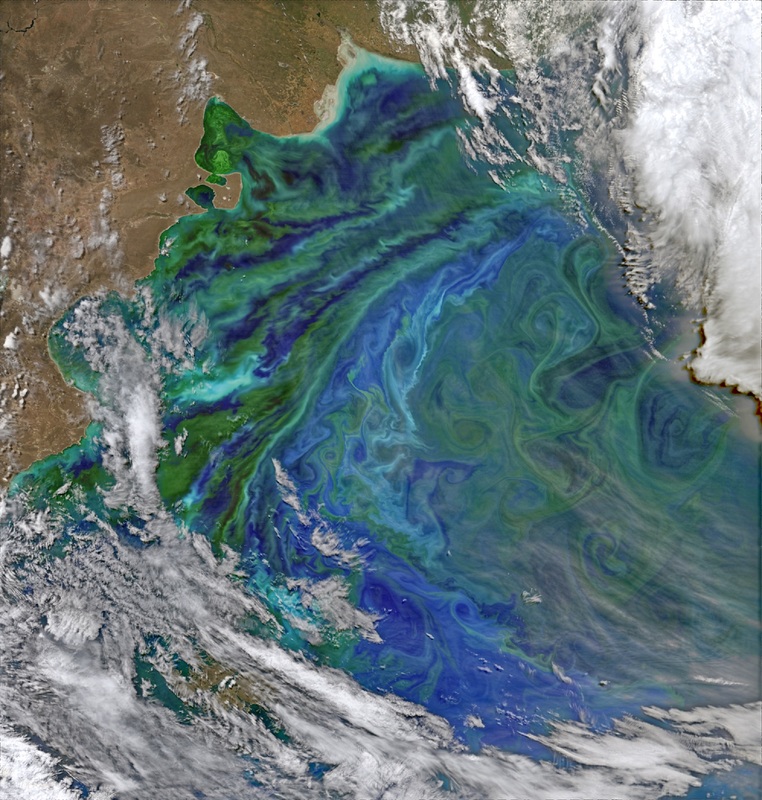 Phytoplankton blooming off the coast of Patagonia. Acquired 2nd Dec 2014.